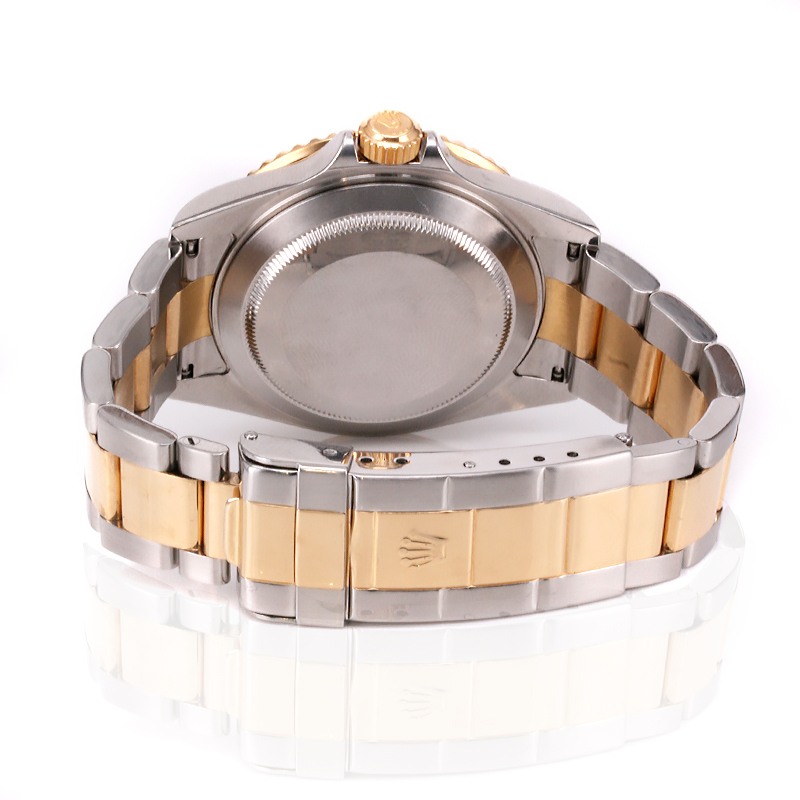 Product code: ES7126 Categories: Sold Items, Sold Rolex Watches. Perfect for any occasion, day or night comes this 18ct gold and steel Rolex Submariner 16613 that has such distinct and handsome look to it and is in brilliant condition. The Rolex Submariner is one of those sports watches that is not only one of the most iconic Rolex watches around and has been for over 50 years, but also looks amazing in a boardroom or underwater where it was designed to go. 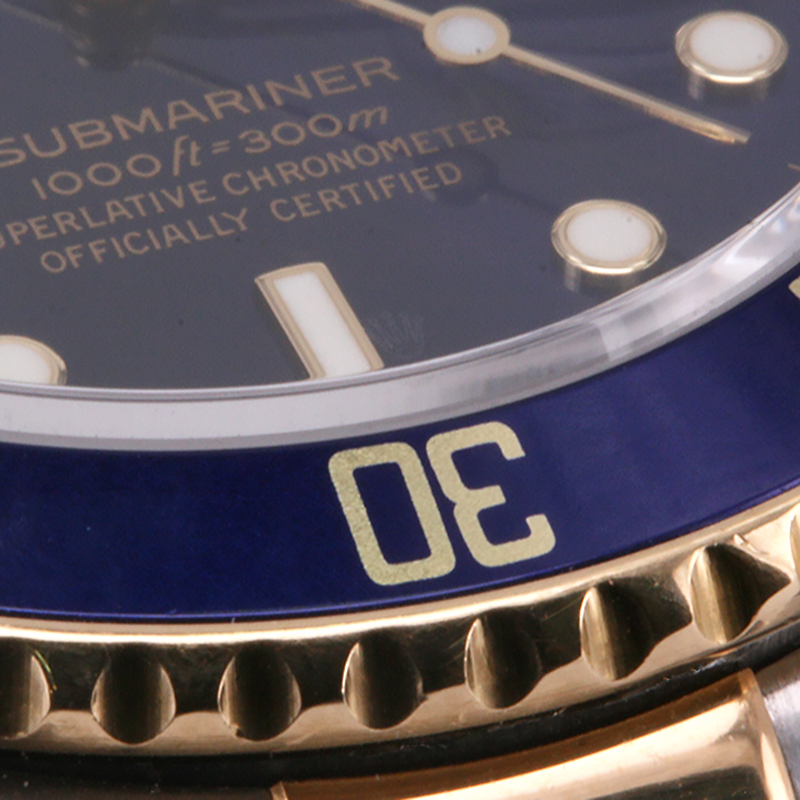 Capable of going to a depth of 300 meters/ 1,000 feet, it is fitted with the sapphire crystal with the laser etched crystal and cyclops date window magnifier. Made in the traditional and comfortable to wear all the time 40mm case, it is fitted on the 18ct gold and steel Rolex Oyster band with flip-lock clasp and newer style with the gold running down the centre of the clasp which completes the look so well. In brilliant condition, the automatic Rolex calibre 3135 movement has just come back from a complete service, runs perfect and comes with our twelve month warranty. This is one of the most handsome and sought after Rolex Submariner models around that presents itself so well and will always be admired. 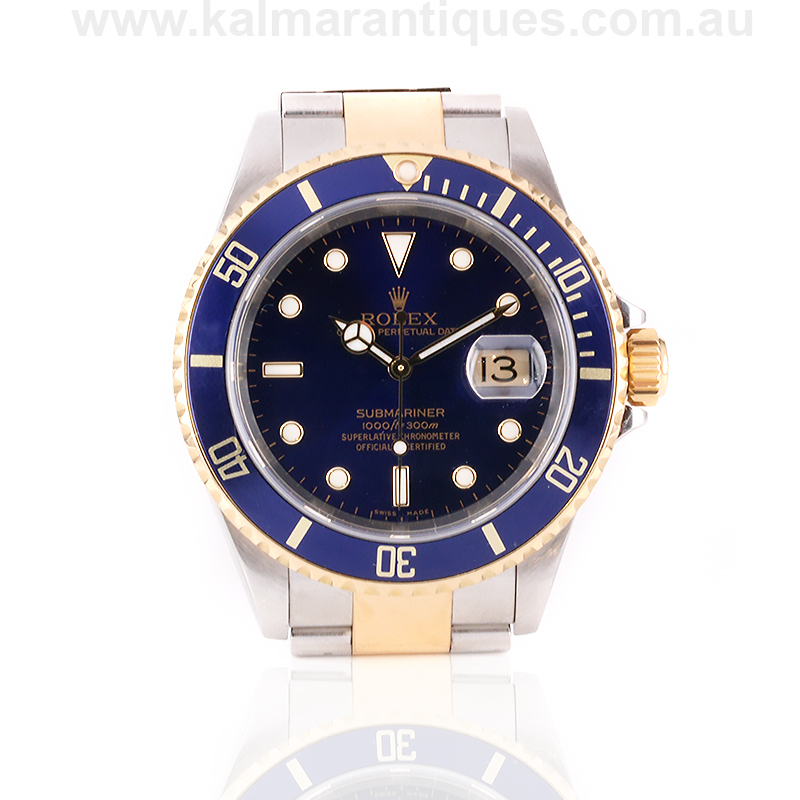 Kalmar Antiques, the best place to find Rolex watches in Sydney.